Meet your everyday document needs quickly and efficiently with the HP Color LaserJet CM2320nf Multifunction Color Laser Printer. Meet your everyday document needs quickly and efficiently with the HP Color LaserJet CM2320nf Multifunction Color Laser Printer. Print and copy high quality output at speeds up to 20 ppm, black and color. Scan and fax easily with a device that's simple to use and maintain. Incredibly easy to install, use, share and maintain. An intuitive control panel with 2.4"/6 cm color graphics display makes advanced features simple to use. Ongoing use is effortless with only four print cartridges that are clean and easy to replace. 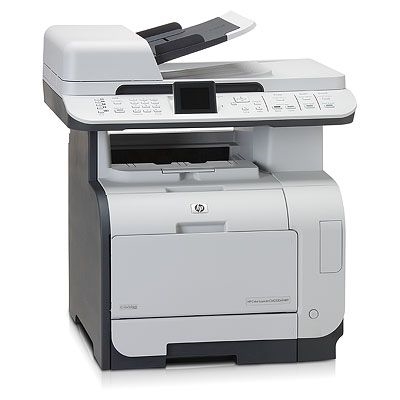 E-mail documents and images directly from the MFP without a PC. Turn scanned text into editable files with Readiris Pro optical character recognition software.